DE-Tenants.org has been following the money behind Douglas Emmett Inc.’s recent $2 billion buying spree in the Los Angeles commercial real estate market. Using primary sources and news reporting we have already identified nine California commercial properties that Douglas Emmett acquired in partnership with the nation of Qatar’s sovereign wealth fund called QIA. Together QIA and Douglas Emmett have already closed on over $2 billion of Los Angeles commercial real estate since March 2016. A large stake of the funding comes from QIA’s deep pockets. But QIA and the Qatari royalty who control it have made a series of other high-profile deals of late. 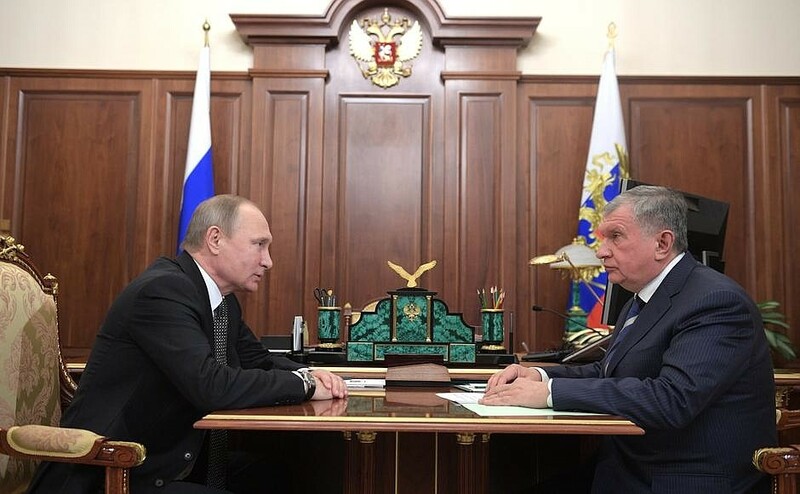 Most notably, Douglas Emmett’s financing partner recently purchased part of a 19.5% stake of the Russian state-owned oil company called Rosneft for $11 billion. In December 2016, the Qatar Investment Authority and a Swiss oil-trading firm Glencore jointly acquired the third-largest stake in Rosneft, which pumps more crude than Exxon Mobil Corp. Here is a regulatory disclosure from the Hong Kong Stock Exchange also announcing the QIA-Glencore joint venture. Multiple reports have suggested the last-minute deal was a move to bolster Russian state finances as Vladimir Putin struggles to meet domestic spending commitments before his possible re-election bid in less than two years. Russia’s economy has struggled in recent years and Western sanctions have targeted the country’s oil, gas and financial sectors. Additionally, Russia relies heavily on oil revenues and international oil prices reached 12-year lows in 2016. The revenue from the $11 billion Rosneft sale was reportedly intended cover budget shortfalls. And despite the odds, the deal arrived just in time to shore-up state revenues for the final quarter of 2016. 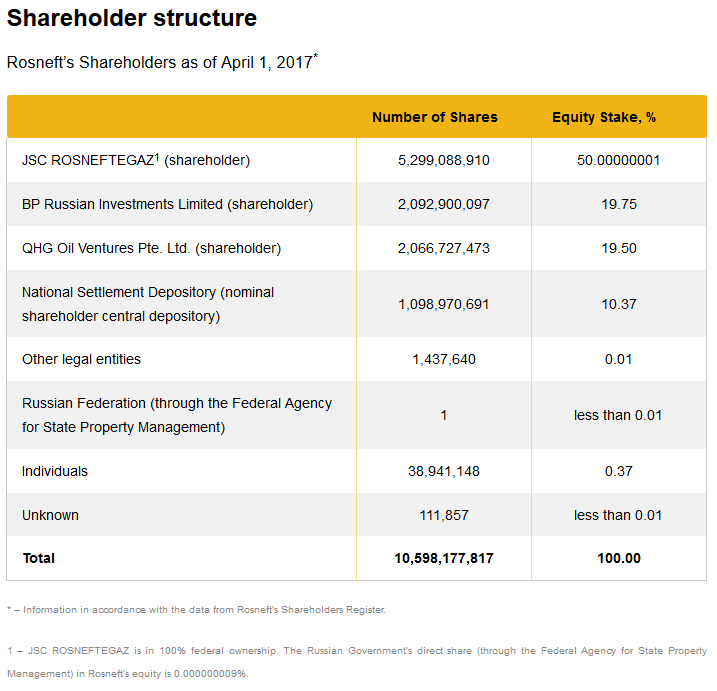 According to a Reuters source close to Rosneft’s management board, the deal came as a surprise to Rosneft’s shareholders, including Britain’s BP oil corporation, which itself owns 19.75% of Rosneft and is represented on its board. The deal was publically announced—live on television—on 7 December 2016 and marked “one of [Russia’s] biggest privatizations [of state assets] since the 1990s,” but it was highly secretive and the terms were not immediately disclosed (SOURCE). However, between the three sources of funding, journalists could only account for EUR8 billion; the remaining EUR2.2 billion, nearly 22% of the purchase price, could not be accounted for and Rosneft declined to explain. No known source has been able to account for the missing 22% of the capital stack. This has led reporters at Reuters to raise questions about shadow buyers involved in the deal. Get the primary corporate data! Click here to view and download our Al Thani and QIA Asset List, a detailed compendium of hundreds of companies from dozens of countries. Despite the missing money, it is known that QIA and Glencore combined their EUR2.8 billion in equity into a 50-50 joint venture vehicle called QHG Shares Pte based in Singapore. The firm was founded on 12 August 2016. That same day, two Singapore-based directors were appointed to QHG Shares: a South African named Lodewyk “Lood” Van Rooyen and a Briton named Richard William Dumpleton. The men are, respectively, the Head of Risk Management at Glencore and an Operations Manager at Glencore. According to corporate filings, the purpose of the company was to serve as a “holding company for oil entities”. Its primary office was 1 Temasek Avenue, #34-01, Millenia Tower, Singapore 039192, the headquarters of Glencore’s Singapore operations. A short time later on 12 December 2016, QHG Shares appointed a secretary, a Singaporean named M. Sivaananthan. And subsequently the firm would change its name to QHG Oil Ventures Pte on 8 February 2017, after already purchasing 19.5% of Rosneft two months earlier in December 2016. The next post in this series tracking the QIA’s Russia oil investment picks up again in Singapore.